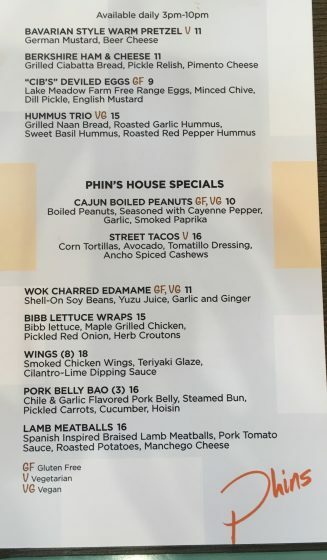 Dining Recon: Phins! 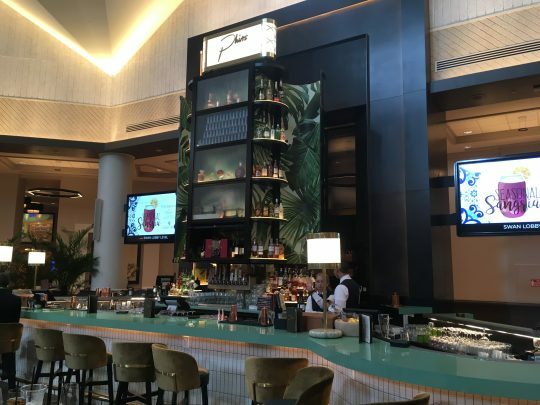 New Lobby Bar at the Dolphin Resort! 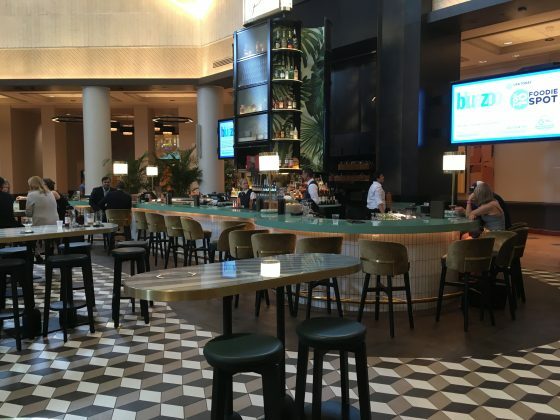 | It's "All in WDW"
Dining Recon: Phins! 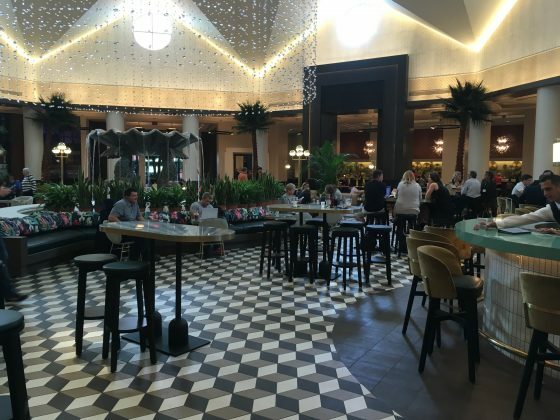 New Lobby Bar at the Dolphin Resort! My friends, daytime adult refreshment options at Crescent Lake will never be the same! 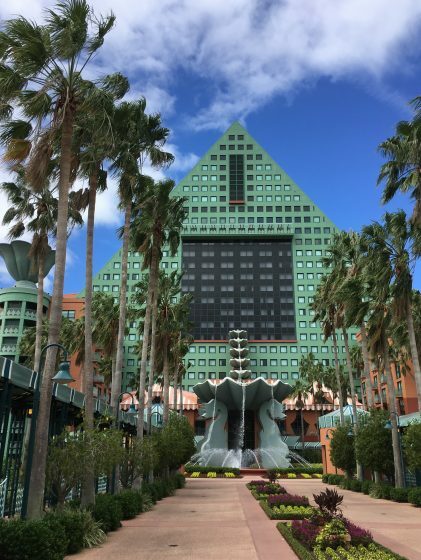 Walt Disney World’s Dolphin Resort has raised the bar [pun very much intended]! Phins. 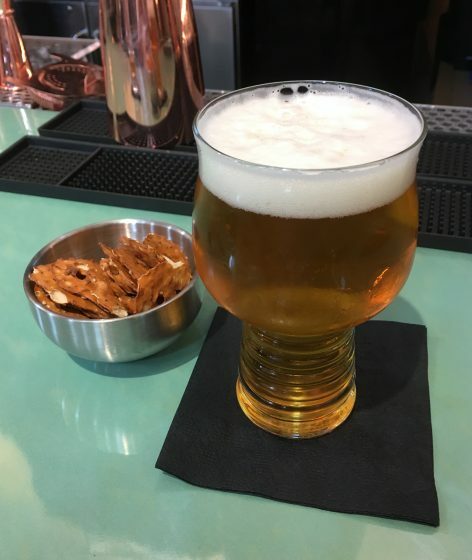 Offering a wide selection of cocktails, beer, wine, and food, it is the centerpiece of the resort’s many brand new refurbishments and additions. 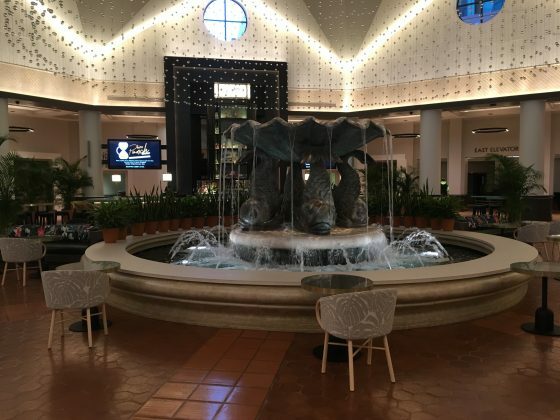 We’ll show you a refurbished room, as well as Dolphin’s new Quick Service option – Fuel – in the coming days, but, first, let’s take a look at the Dolphin’s new lobby and … Phins! 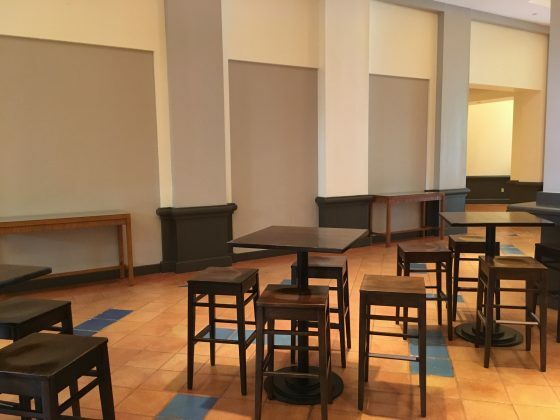 The Dolphin’s old – very small – lobby bar is history! Up to this point, folks, your best Crescent Lake alternatives for grabbing an adult beverage were places like ESPN Club or Crew’s Cup Lounge. If you wanted to be outside, then establishments like Cabana Bar and Hurricane Hanna’s could fit the bill. With the opening of Phins, you have another place to kick back, relax, and enjoy a tasty vacation refreshment. 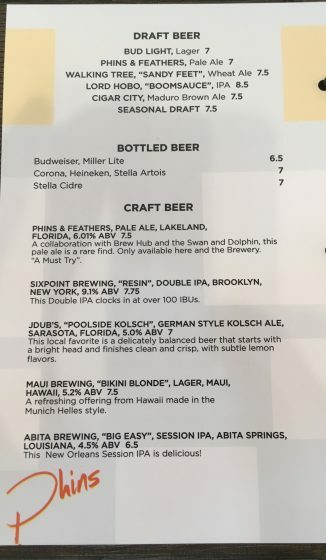 For instance, they serve the Swan & Dolphin’s signature Pale Ale – Phins & Feathers – on draft! 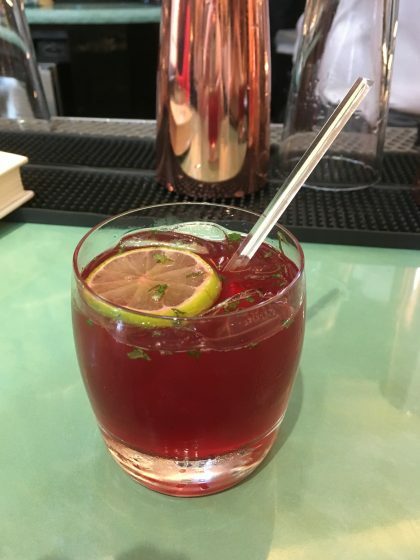 In addition, the drinks – especially their daily Happy Hour punch – are very tasty. 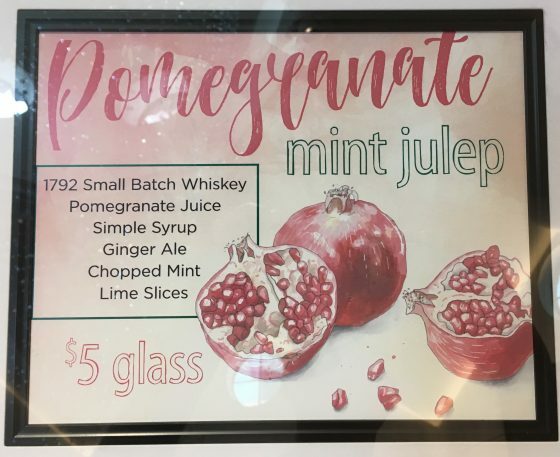 A different recipe each day, here’s their Pomegranate Mint Julep! 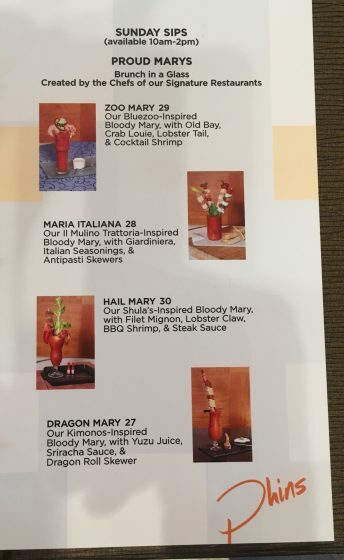 We found this to be quite unique … the Phins Bloody Mary “bar” opens every Sunday at 10 AM. Check out the descriptions, though. Each of these specialty versions are inspired by Swan & Dolphin’s signature restaurants! I’m definitely going for the Hail Mary next trip! Filet, lobster, and shrimp? What?! Finally, the bar’s food really hits the spot. Prepared and served from the hotel’s Room Service kitchen, the menu isn’t large, but it is still packed with enticing dishes! Mrs. All in WDW and I shared three items. 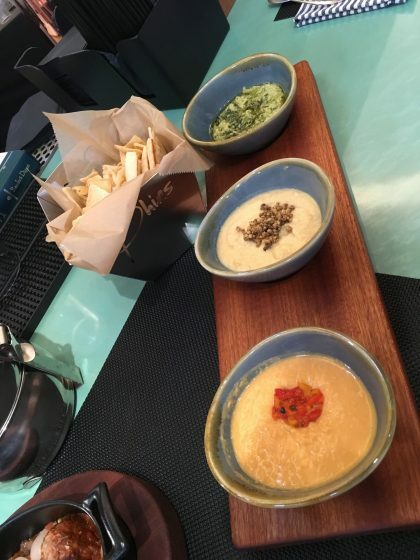 The dish that caught her interest the most, was Phins’ Hummus Trio. Served with small “chips” of naan bread, we were partial to the Roasted Red Pepper Hummus. Was tough to fit this presentation into one picture frame! 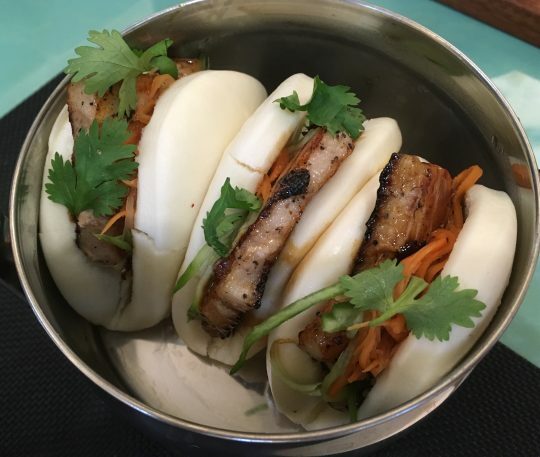 I, of course, couldn’t deny two of my favorite preparations – Pork Belly Bao and, you guessed it, Lamb Meatballs! 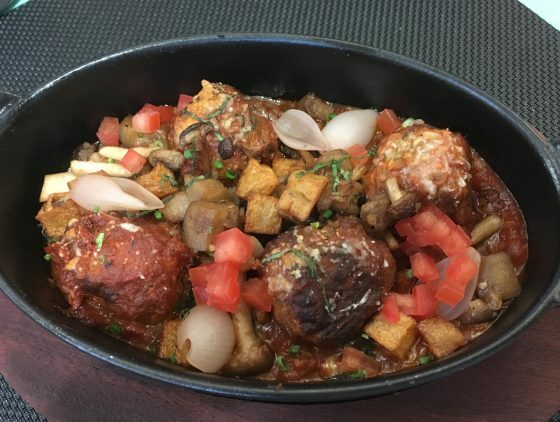 Not quite as delicious as Food & Wine’s New Zealand version, the meatballs were still very good. Mrs. All in WDW really loved the veggies bathed in the dish’s pork tomato sauce. 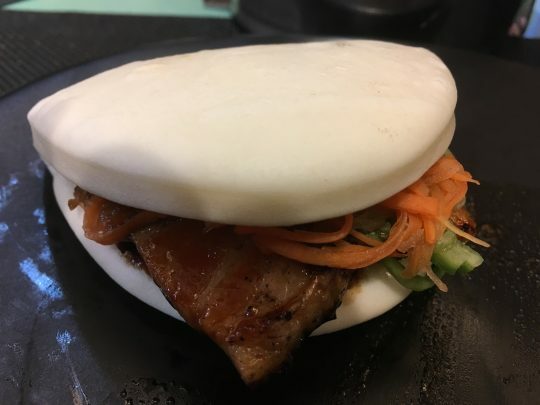 Steamed buns. Pork belly. Winner! I loved them! Plus, Mrs. All in WDW kindly gave me the “lion’s share”! Also served as a “trio”, there was plenty of flavor to enjoy! My friends, we had a great evening at Phins. The staff was friendly. The drinks are refreshing. The food is quite tasty. When next on Crescent Lake, please stop by the Dolphin and try Phins! You might find that you’ll love it as well! ← Tour the Contemporary and Polynesian Resorts! Catch All in WDW “LIVE” on Resort TV1!